As the month draws near and we begin to purchase our necessities, exporters are preparing to flood the markets with their products. Israeli date exporters, as they do every Ramadan, are hiking up production of dates grown on Israel's illegal West Bank settlements. 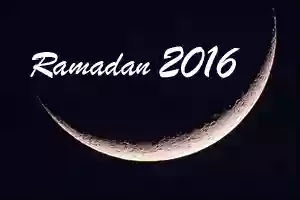 Ramadan is the second busiest time of year for Israeli date exporters, and WE ARE THE TARGET CONSUMERS. Please read this entirely to get a more accurate picture of what the Israeli date business entails. You may notice some date packages are marketed with the words “Product of West Bank, Palestine.” This can be misleading. In order to evaluate whether they are Palestinian or Israeli, you must look further. Many dates produced in the West Bank are in fact packaged on illegal Israeli farms in the Jordan Valley near the city of Jericho. These farms are maintained by settlers whose businesses serve to sustain Israel’s violent occupation. The abysmal life conditions created by this occupation not only deprive Palestinians of access to basic resources like water (on their own land), but also do not permit them to develop their own agriculture. The result? Palestinians are left with no option but to perform hard, exploitative, and life-threatening labor on Israeli date farms under the most precarious conditions in order to earn a living. On these farms, they are often required to remain atop date trees (up to 40 feet tall) for eight hours in the blazing heat without even a bathroom break. This includes children. In 2008, the Palestinian Central Bureau of Statistics found that more than 7,000 children between 5 and 17 years old were working in the Jordan Valley alone. They are hoisted up by a crane and tied to a trunk for the duration. For Palestinians, it is either 1) work on these farms, or 2) live hopelessly unemployed because Israel deprives them of sustainable work opportunities. They should NOT have to choose between these two horrible & humiliating options. I witnessed this scenario play out firsthand when I spent Ramadan in Palestine last year. It is among the most sinister aspects of the occupation, and by purchasing from these exporters, we unknowingly become enablers of their crimes. So in adherence with BDS guidelines, in solidarity with our Palestinian brothers and sisters, and in the true spirit of Islam rooted in social justice, this Ramadan I urge us all to purchase our dates ethically and consciously. Watch out for: The Israeli date exporter called ‘Hadiklaim.’ It often sells under the name 'Jordan Valley,' 'Jordan River, 'King Solomon,' or 'Jordan River Bio-Tops.' Always check for these signs and DO NOT purchase from them. Alternatives: Purchase from domestic producers, including Oasis Dates, Sun Garden Date Growers, Royal Medjool Date, and Southwestern Date Ranches, or purchase from Muslim companies. There are plenty. Next steps: Inform your family, friends, local mosques, businesses, Islamic Centers, and MSAs. Keep pushing. It is the least we can do in addition to our prayers for a free Palestine. May we all live to see the day Falasteen is liberated. Terima kasih kerana sudi follow blog ini..